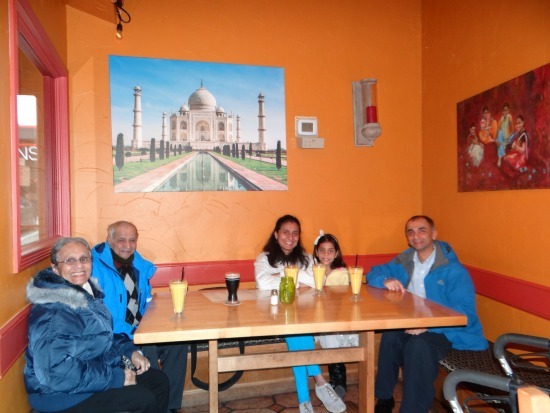 This casual Indian restaurant serves some of the best Indian dishes in Victoria BC. Its huge menu makes us going back to try something new each time. My daughter Lapaly (grade 3 elementary) wanted to write about her dining experience at a restaurant. Victoria BC Langford is our new neighborhood. (18km away from Victoria downtown). 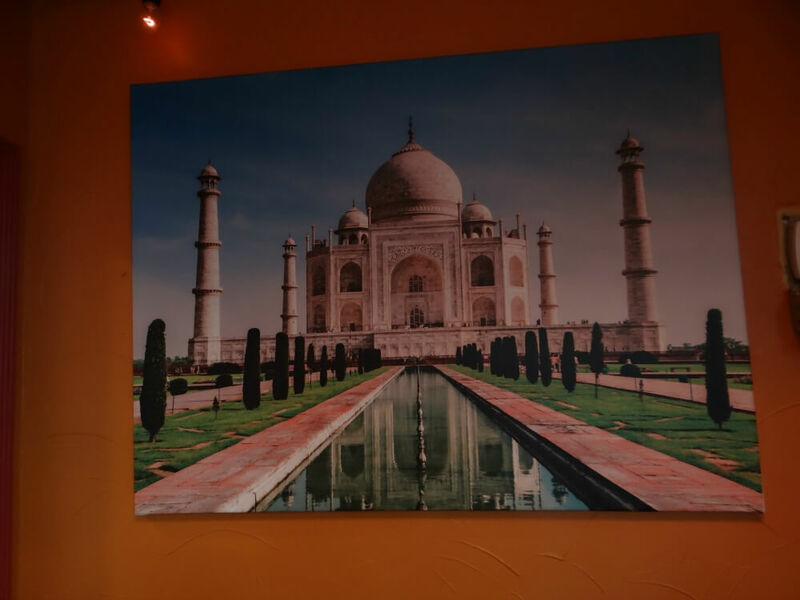 We went to an Indian Restaurant in Langford downtown. So here she writes, while mom helping her with little commentary. One sunny morning we woke up to celebrate my grandpa’s birthday and the family day in BC. We searched for a Victoria BC restaurant. I liked the name Turmeric restaurant in Langford BC. So we came to downtown Langford for a meal. Langford, BC is a small town at the outskirts of Victoria. We built our new home here. If you say Victoria downtown is a small, then Langford downtown is a tiny place. Langford, BC is a fast growing neighborhood. Lots of young families move to this town from Vancouver and other Canadian cities. You could see many housing projects popping up in this area. Langford, BC is a nice place to build a house and settle down. Fresh air and away from the city are bonuses for Langford residences. 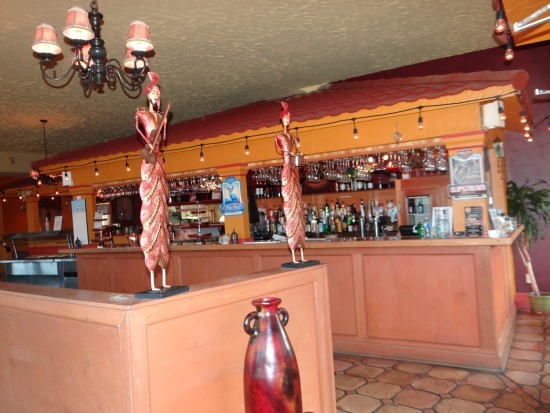 Turmeric Restaurant is located in the core of downtown Langford. When there’s no traffic, Victoria downtown to Langford is little over 20 minutes. 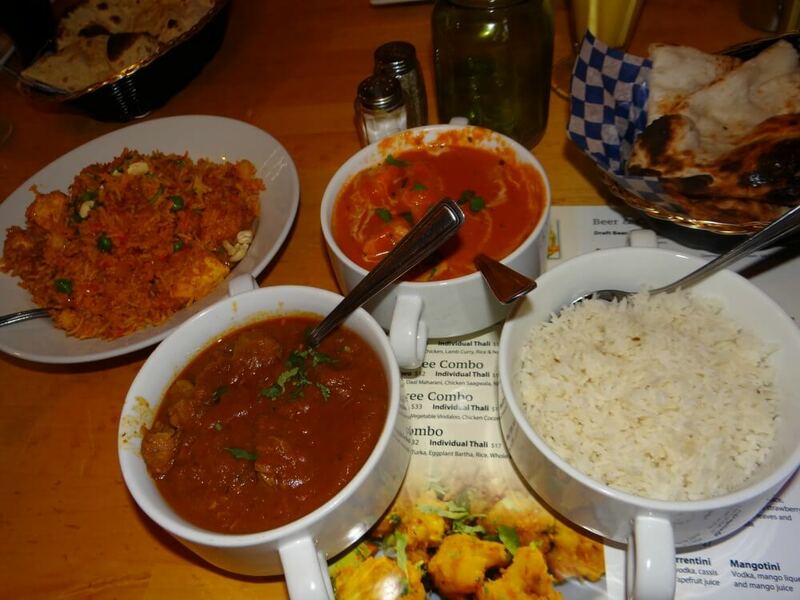 If you love to taste Indian cuisine, this is a good choice. Plenty of parking spaces are available around the restaurant. Turmeric has a casual and very simple atmosphere. The restaurant was luckily not crowded at that time. Friendly and helpful staff seated us at a place where we can sit together and keep my grandpa’s walker. The only problem, there were only four or two seats near windows. We found a place with five seats but could not see out side as well as the people on other tables. We enjoyed looking at Indian arts and crafts around the walls and Bar area. They told my dad that most of these paintings were done by local artists. There were paintings of the Taj Mahal and lots of other interesting Indian paintings. I asked my dad to take lots of pictures as I was already planning to write about my lunch at the Turmeric. I already had some coloring papers, but they gave me some crayons and paper to color on. There were a lot of cool drinks such as bottled water,Ginger Ale, Pepsi, 7up, Root Beer and Ice Tea. They have a well arranged wine bar. The staff served Beer and wine, perhaps for my Grandpa and Dad to consider. We looked at the menu. I saw that they serve the sweet Indian drink called Mango Lassi. I love mango Lassi. 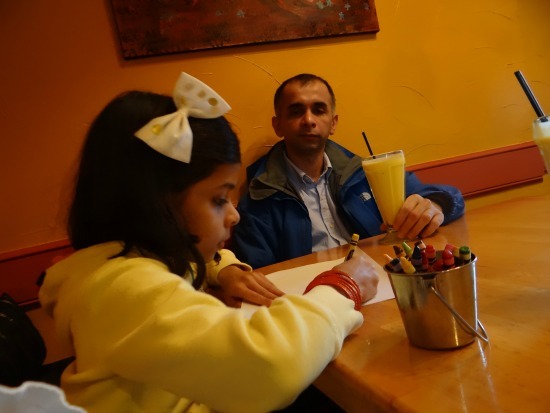 We enjoyed a surprise appetizer and a Mango Lassie drink. Mango Lassi is made with mango pulp and yogurt smoothie. 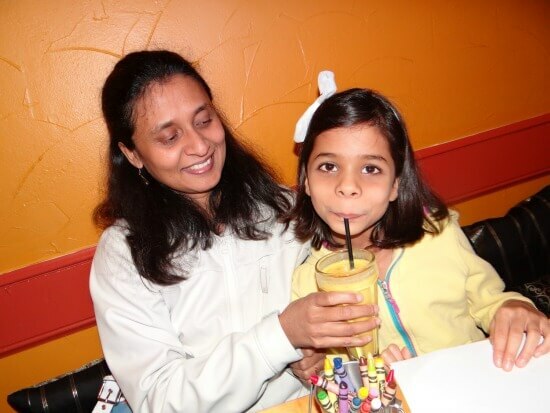 I think the mango Lassi was the best drink at any Indian restaurant. It’s a big drink. I even felt that I cannot drink it all. However, I can always finish a mango Lassie without any problem. My Mom loves Mango Lassie. She even drank half of mine; you see my mom worries that I will fuss over eating my lunch when I drink too much sweet stuff. Dad likes it, but he said next time he wants it without rose water flavor. For lunch, they said they have a lunch buffet. We were late for the buffet this time. They have a big menu with lots of items. From the menu, we decided to select a combo meal. The choices are combo A, B or C . We ordered Combo C. My mom said It is quite affordable. 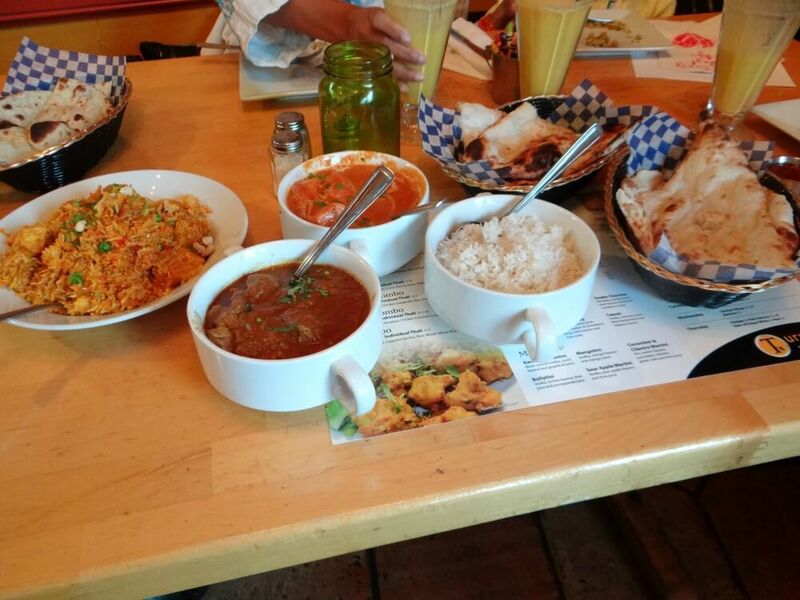 Combo C includes Chicken samosa, Butter chicken, Lamb curry, Rice,Naan and a Dessert. Combo A has Vegetable Samosa, Chick pea curry, Vegetable coconut curry, Rice, Naan and a Dessert. There is a combo B with Vegetable samosa, Butter chicken, Cauliflower and potato, Rice, Naan and a Dessert. With our combo C lunch my parents ordered a super yummy Indian dessert called Gulab Jamun, a deep fried Indian dough ball in a sugar syrup. I ordered mango mousse for my desert. It tasted fantastic. They served my grandpa a Gulab Jamun with a lit candle on it to celebrate his birthday. It was really unexpected. He was very happy. We polished off our plates and left home around 3 pm. It is a nice family restaurant with friendly staff. We are waiting to get back and try more of the food which I didn't get a chance to try on that day. It was really fun family day and a birthday celebration. Turmeric has a senior discount as well. Also, they do have a delivery service, if you are within 5 km distance around restaurant area.